Why build a website for my business?? QUESTION 1: Why build a website for my business? ?Do you plan on being in business in the future? If so, you need a website today! A website will save you time, answer basic questions for consumers and promote your business 24/7. The website will save you time on the phone: it will provide hours and directions, business hours, business services information and available products for sale (on line or on site). Consumers use the web as a giant directory, while yellow pages have fallen into disuse, the web has become the source for information. Your website will drive new customers to you, making you more money.If you often wish you could communicate effectively with a broader range of clients / customers, publicly post answers to frequently asked questions, attract new customers, break in to new markets and take the market share from your competitors –a website is a MUST! QUESTION 2: What is the Investment? Getting the website built (the highest cost) – this is where a web developer / designer will actually build your site in a software program. A website is nothing more than a bunch of files, both graphic and text that are woven together around a common theme. The cost for developing the site can be anywhere from $800 to $20,000 and up, depending on size and functions. For most basic small business sites, the cost will run between $800 and $1,800. This cost is a one-time investment for a tool you own and will continue to use for communication and marketing. Hosting – Once the site is built, it must be hosted on a public server so the general public can access it through their internet provider. Hosting costs vary. They can run anywhere from $50/year $1,000/year, based on the website functionality, ecommerce features and the hosting provider. Domain Name – a domain name is the web address where users find your web site (www.yourcompany.com). Domain names are unique and cannot be duplicated. The cost for registering a domain name is about $15 per year. Ø Email services with multiple email accounts. Ø Internet marketing services – researching how best to promote your site and get the maximum visibility, drawing more visitors to your site. Ø Maintenance services – updating the site continually, making changes, adding pages, delivering web statistic reports, and more. QUESTION 3: I already have a web page with another service. . . 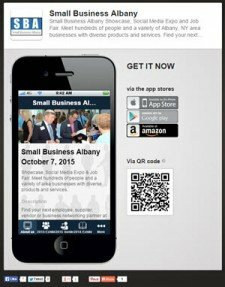 If you have a web page with your area Chamber of Commerce, Yellow Pages or parent company (i.e. 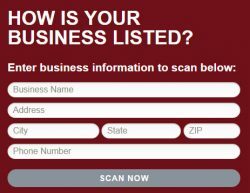 realtor.com, Teleflora, etc. ), that is a start. However, that is not a web site, and you do not own it. You may benefit from corporate positioning and traffic on the web, but you have limited access/control. Change is a constant; you need to own your own website and domain name to protect your business. Your web site brands your business and delivers your unique value proposition to the world. QUESTION 4: What if I don’t sell merchandise on-line? You may not sell merchandise on-line, buy you can offer your products and services for the world to see. Interested people that find you on the web can reach out to you via email or phone. You can drive new traffic and build a new customer base across the globe, but you have to build a website to begin to take advantage of all the traffic on the web that is already searching for your products/services. QUESTION 5: Will I be able to maintain a web site? To maintain a web site you should have a computer, and you – or someone in your company – should be able to send and receive email. Have your new site built in a CMS (Content Management System) so you can edit in a point/click environment. Your web service can help you with maintenance, changes and updates on an hourly or monthly package rate. QUESTION 6: Our customers aren’t computer users do we need a site? Your current customers may not use the computer, but your prospects are out there searching for your services now, and you are need to be out there to meet their needs. Statistics prove that 65% of the population in rural areas uses a computer at least once per week, and 85% in metropolitan areas use a computer daily. These percentages have NEVER decreased. It is likely that they will continue to increase. A website keeps you in sync with this trend. Data on the web meets the immediate need of the consumer, if you want them to buy from you, you will have to get out there! QUESTION 7: I have a cousin who can make web sites. . .
Ø A website can be compared to a means of transportation. You could ride a bicycle or drive a Mercedes – either way you can get around town, but one is much faster, more efficient, will take your farther faster, and will be a much more comfortable ride. Ø The flashy graphics and catchy text you see on websites is only about 20% of what goes into developing the site. Behind all those pretty pages are codes and tags, specifically written to attain a higher placement in search engine, making the pages load faster and be more user friendly. Most beginners lack knowledge in the proper usage of codes and scripts, nor are they up to date on search engine optimization. If you have a pretty web site, but no one can find it, you lose an enormous amount of marketing power. QUESTION 8: We have no budget for advertising. It is important to recognize that a website is NOT an advertising investment. It compliments and empowers your advertising efforts. Ads are the property of the advertising vendor, and are a revolving cost to a company. You buy an ad for a specific amount of time – and then the ad is gone. A website is a marketing and communication tool that belongs to you. You control it and you can use it continually. It is a company asset similar to your brick and mortar location. You buy it one time and only pay for the maintenance. Websites service your current customer base, giving them more options to communicate with you and promote your business to new prospects. Once you have a website, you can print your web address on all of your advertising, offering potential customers and clients an opportunity to find out more. A website in today’s world is a mark of credibility to the public. The following quote is an excerpt from Small Business Magazine –October Issue 2003. How many people can you realistically touch in a single day? A week? A year? The web can touch more people in a month than you can touch in a decade, perhaps a lifetime! All kinds of people use the internet to access information. The internet, unlike advertising mediums does not target a set demographic. You can reach the world with your website with no wasted effort. There are over 8 billion web pages indexed in the Google search engine. The top three commercial markets on the web are Technology, Real Estateand Tourism. A website usually is rather impersonal – and that’s a good thing. When people use the internet they want information not a personal relationship. The information will bring them to you. You create the relationship once the consumer makes contact. A website gives you a higher number of potential customers to create a relationship with. If internet users don’t find you on the web, they’ll seek out your competitors who have websites. QUESTION 10: I wouldn’t know what to do with a web site if I had one. Ø They are looking for information about you, who you are and what you offer. They may have heard about you from a friend, seen your advertisement, billboard, business card, or heard that you carry something they’re looking for. If they know who you are and they search the Internet to find out more about you – and find no website – they may assume you are not large enough to support a website, or aren’t interested in them as customers. To the average consumer, fining no web site sends up a warning flag, finding a site is a basis of creditability. Ø They are looking for a product or service (that you offer): Obviously, if you do not have a website, they will find another businesss (your competitor) that does. A website is a marketing tool that costs is a one time investment and will continually repay you by saving you time, providing your company information to the world, and driving new prospects through your virtual door. Your website offer the world a chance to know your mission, determine your value proposition and provided credibility that puts you on a level playing field with your largest competitors. Public displays of testimonials from other customers about your company.